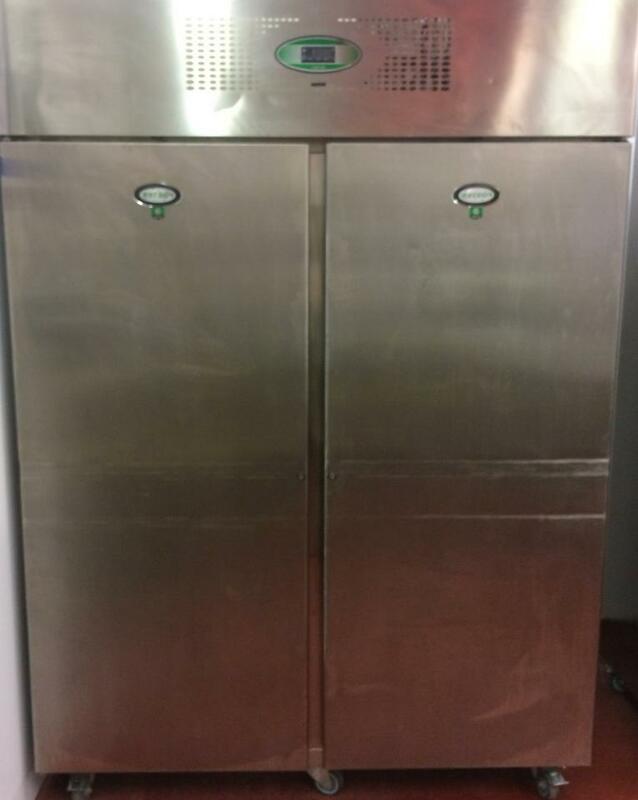 Fosters double door cabinet freezer. Used item, excellent working condition. Some slight marks on outer side of doors. Aluminium interior, stainless steel exterior. Digital temperature display/controller. Temperature range -18°c to -21°c. 6 height adjustable shelves on trayslides. Model EPROG 1350L.